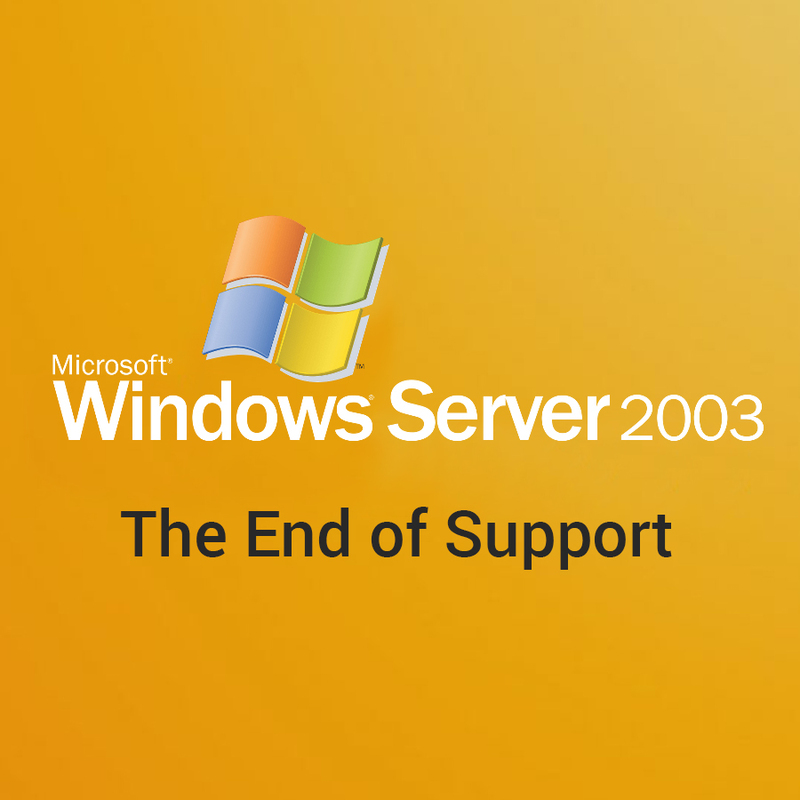 Microsoft recently announced that it is ending support for Windows Server 2003 operating system on July 14, 2015. Windows Server 2003 is heavily used by for the e-commerce businesses. Therefore, if any business is in e-commerce (i.e., has a website with a shopping cart), then there was a very high possibility of using the Windows Server 2003 operating system. Windows Server 2003 is heading towards its end of life (EOL) this coming July, yet a new study shows that just a small fraction of users have already migrated to a new solution. Microsoft says there are 11 million Windows Server 2003 servers are still running. End of support means there will be no security updates, no compliances, and no safe haven – cautioned Vasily Malanin, Microsoft’s Asia-Pacific data center product management lead for cloud and enterprise, during a media briefing in Singapore. The opportunities to advance are not marked by mere lift-and-shift actions, but the consideration of how each and every application, workload, embedded system, is or is not meeting the demands of today. This is a leaps and bounds moment that will require effort on all fronts of IT, and once included, will benefit IT, business, employees, and customers in ways that were not previously possible. This is a moment to innovate within infrastructure and applications. Migrating systems from WS2003 to a new system can be time-consuming, particularly for businesses with huge applications that run on WS2003. Upgrades to some applications may not be available, and that may leave a business to nowhere. If we don’t have plans in place to migrate to a new system, the impending end-of-life can feel like approaching doom. In order to properly prepare for this change, need to understand the challenges surrounding the end of support for Windows Server 2003. Here are steps that should be taken to overcome these challenges and successfully change server operating system. Recognize the Problem: The end of support for an operating system means that Microsoft will no longer provide security updates for it. Running an operating system after support ends is very risky. Outdated operating systems are susceptible to all sorts of remote attacks and malware. Additionally, even after problems are discovered, they won’t be addressed by Microsoft. This means unsupported operating systems remain permanently vulnerable. Find A New Server Operating System: The server operating systems that Microsoft currently provides are Windows Server 2008, Windows Server 2008 R2, Windows Server 2012, and Windows Server 2012 R2. Some of these options may require to purchase new hardware, while others will let you to reuse the hardware that you have. Companies should have a new server operating system in place before the Windows Server 2003 end of support. They can also move services to the cloud in order to cut costs and reduce physical infrastructure. Make the Change After selecting a new server operating system, companies can begin migration. Migration is the process of moving from one server operating system to the next. Migration can take several months, so companies should start as soon as possible. Windows Server 2008 R2: This software is intended for evaluation and deployment planning purposes only. RAM: Minimum 512MB Processor: 1 GHz (x86 processor) or 1.4 GHz (x64 processor) Available Disk Space: Minimum: 10 GB. However, the above server configuration can be decided on case to case basis. If a Windows Server 2003 machine is part of Cardholder Data Environment (CDE), business will fall out of compliance with the PCI DSS as of July 15, 2015 unless it has implemented some significant compensating controls. Those compensating controls would revolve around keeping up with patching by manually reviewing patches and manually applying them, restricting logical and physical access to the servers, and very carefully logging, correlating and reviewing log files. Basically, one would need to go way above and beyond to cover for the use of 2003. 9series team is there to understand your Microsoft Technologies and Server related requirement and assist you in every steps from coding a new features, manage existing systems, server/data migration, testing the existing/ new systems and fix the issues. Feel free to get in touch and explain us your needs.